Brigadier General Warner I. Sumpter (Ret.) was recently honored on October 5 at the Maryland Association of Boards of Education Annual Conference in Ocean City. 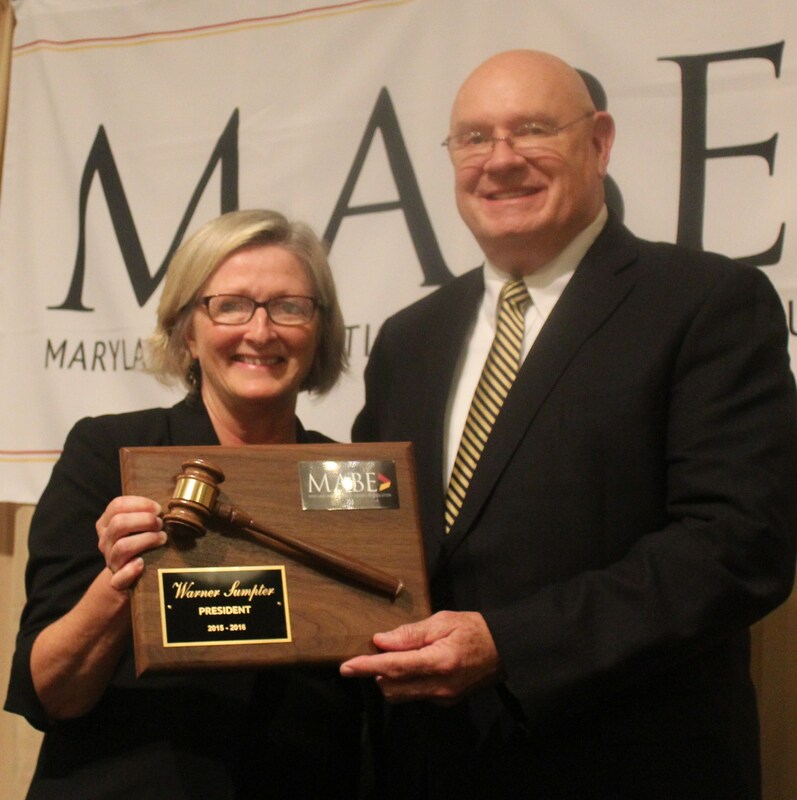 He was presented with a plaque in honor of his dedicated service as the 2015-2016 President of the Maryland Association of Boards of Education. He was the first Somerset County Board of Education member to serve in this capacity. BG Sumpter has served nearly two four year terms as a member and chairman of the Somerset County Board of Education. His career and post –employment activities are characterized by a spirit of service. He served with the Maryland Army National Guard for 23 years. He began his military career in the United States Marine Corps from 1962-1967. He culminated his time with the Marine Corps as a platoon Sergeant and platoon commander in the former Republic of Vietnam. While there and subsequently, he was highly decorated for service and valor. Other experiences include 20 years of service with the Maryland State Police moving through the ranks as patrol trooper and retiring as Major. He was the Chief of Police of the Maryland Capitol Police and served as Commanding General of the Maryland Army National Guard. After attacks on the World Trade Towers and the Pentagon he was involved in the preparation, training and deployment of over 3000 Maryland Army National Guard soldiers in support of operations Noble Eagle and Enduring Freedom. In addition, he was the Director of Public Safety and Chief of Police for the University of Maryland Eastern Shore. He worked for a period as Director of Shore Transit. General Sumpter is involved in many civic organizations as an active member. The school system is fortunate to have his experience and leadership as it continues to move forward. This distinguished gentlemen has done it all including being a "Life Member" of our Marine Corps League detachment.